Our Team is dedicated exclusively to Safe, Gentle and Efficient Wisdom Teeth Removal, Dental Emergency and Wisdom Tooth Extraction in Melbourne and Sydney. By concentrating on this specific aspect of dental health, we have become extremely experienced in the field. You can now also BOOK ONLINE 24/7 by clicking on the red APPOINTMENT button on the right hand side. These professionals are also well trained to know their limitations and to know when to refer complex or more difficult cases to a Dental Specialist as an oral surgeon. It is always wise and recommended to see a general practitioner first who would give you options including a visit to a specialist if requested or necessary. Wisdom Teeth Professionals Sydney have now seen more the a thousand patients since opened last year. 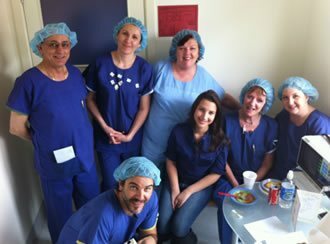 Dr Pinho with the help of colleagues and oral surgeons in Sydney have proudly helped hundreds of patients. All can now benefit from an affordable and safe wisdom teeth removal surgery for the maximum cost of $970 for surgical removal of 4 wisdom teeth. Be aware of clinics and websites with the tendency to underline the need or cost benefit to always see a specialist such as oral surgeons or oral maxilo facial surgeons for every single case with phrases such as "compare Apples with Apples" or others with similar strategies. It would usually incur in higher dental costs and it is obviously NOT ALWAYS necessary. Some of these Websites can sometimes come across as independent blogs or comments but would always link to their own private clinics or business. Registered Australian Dentists are highly trained to perform the great majority of all Dental Treatments including Wisdom Teeth Removal. A lot of general dental practitioners also limit or restrict their practice to only one field like Oral Surgery. 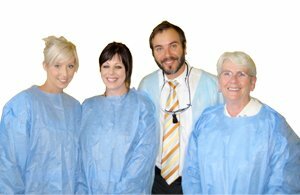 These dentists or dental surgeons will most likely become extremely experienced in their specific field and be capable to offer you also an excellent treatment . Dentists with practise limited to one dental field like oral surgery or wisdom teeth removal are also constantly updating their knowledge and training through specific courses and lectures to offer the latest technique and technology to their patients. Third molars or wisdom teeth are the last permanent teeth to appear in the mouth. Usually, these teeth appear in the middle of the ages between 17 and 25. Wisdom teeth removal in Sydney is the procedure of removing your problematic wisdom teeth. Oftentimes, the mouth won’t have enough space for your wisdom teeth growth, which causes infection, pain, and other dental problems. So, you need to have it pulled as soon as possible. Our dentist and oral surgeon recommend having wisdom teeth removal in Sydney even if your wisdom tooth is not currently causing problems, to prevent potential future problems. Without impacted wisdom teeth, you will face many problems in future. Here are some problems that you face. Older adults experience enduring pain and difficulty in eating without having wisdom teeth removal in Sydney. Gum disease chronic diseases can all lead to teeth loss. It will be hard to get to it and clean the teeth properly. When the wisdom tooth is emerging and if they are retained, it will be problematic to your oral health. Because of their problematic nature of wisdom teeth in Sydney, we recommend for tooth extraction. Having wisdom teeth removal early on with the help of the dentist, you can improve a person’s quality of life by preventing the oral health complications. If you have been referred to our practice for wisdom tooth removal, contact our team at Wisdom Dental Emergency today. Contact our wisdom teeth professionals and schedule your surgery time. Discuss the wisdom teeth removal cost in Sydney with us. Avoid smoking and drinking alcohol, also it’s wise not to eat or drink anything at least eight hours before the surgery. Consider our oral surgeon’s advice, and the above tips to get ready for your oral surgery. So, you can position yourself for a quick and smooth recovery after your oral surgery. If you have these symptoms, then it’s time for wisdom teeth removal in Sydney, contact the professional at wisdom dental emergency as soon as possible and book an appointment. You can’t keep an impaction from occurring, but keeping regular six-month dental appointments for cleaning and checkups enables your dentist to monitor the growth and emergence of your wisdom teeth. Regularly updated dental X-rays may indicate impacted wisdom teeth before any symptoms develop. What Happens If I Don’t Have My Wisdom Teeth Removed? On occasion, if wisdom teeth are not monitored properly, the growth of wisdom teeth will shift parallel to the jawline. Also, they will shift backward and eventually interfere with the opening and closing of your jaw. This, in turn, led to the growth of more bacteria and creates health issues later in life. Impacted wisdom teeth can be very painful and may be prone to abscess and infection. If your wisdom teeth are impacted, the teeth trapped below your gum line. This can lead to decay and resorption of healthy teeth. Problematic wisdom teeth may require removal for many reasons, including pain, infection, or growth issues. While not all patients need their wisdom tooth removed, problems can develop if removal is not performed. So if you have slight pain or if you feel that you have a problem on your wisdom teeth, book an appointment with wisdom dental emergency dentist and go for wisdom teeth removal in Sydney. What Is The Wisdom Teeth Removal Cost At Wisdom Dental Emergency? Price scale determined by surgical time and complexity of the procedure such as, need for raising flaps, bone removal, tooth division. Item numbers and final price for each tooth extraction can only be given after proper consultation with the dental surgeon. According to Wisdom Dental Emergency, for the Simple wisdom teeth removal cost in Sydney will be $125 to $150. And the maximum the price for all four surgical wisdom teeth removal is $ 970. Wisdom Dental Emergency provide our patients with payment plans and a large variety of payment options including all major credit cards and health plans which can reduce tooth extraction cost and wisdom teeth removal cost in Melbourne and Sydney. Wisdom Dental Emergency also offer General Anaesthesia and IV Sedation in Sydney and with an 85% Medicare rebate from $320 specialist anesthetist fee patients could only pay as little as $100 to have all 4 Wisdom Teeth removed or to place a dental implant in the great majority of cases. How Long Does It Take to Recover from Wisdom Teeth Removal Surgery? Wisdom teeth extraction is a very common procedure to fix or prevent problems with your last set of molars. Recovery from wisdom teeth in Sydney takes about three days, but Depending on your specific case, it can take up to a week or more. This means that they haven’t emerged from below the gums yet and aren’t visible. Most people fully recover from wisdom teeth surgery in three to four days. If your teeth were impacted or came in at an awkward angle, it could take a full week to recover. You can eat soft foods after surgery, but avoid smoking, caffeine, alcohol and avoid using a straw. This can lead to complications. You can return to regular, daily activities the day after surgery. It’s important that you follow the at-home care instructions that your dentist at Wisdom Dental Emergency gives you in order to aid healing and prevent infection. - Talk about any health problems you have. - List any drugs you take on a regular basis. - Discuss what type of anesthesia you’ll have. You can either be numb or asleep during your surgery. - Ask any questions you have about the surgery. The dentist will examine your tooth. If your tooth is deeply impacted or if the extraction requires an in-depth surgical approach, the dentist will suggest sedation to allow you to be more comfortable during the wisdom teeth removal in Sydney.